Posted on April 22nd, 2011 by roxxyroller in Giveaways Canada. I’d also love to get some of the muslin bags. sooo cool, I’d love to get some of those soapnuts! I also would love to try out the Soap­nut Hand/Body Bar — thanks for the chance to win. I love to have some of the Tow Tabs wipe tablets stashed around in the car, in my tote, in my travel bag. I’d like to try the soap­nut hand/body bar soap. I’d also like to try the Soap­nut Hand/Body Bar. I read about soap­nuts awhile ago and really wanted to try them, but was not able to find them locally. I for­got about them until now, now that I have kids I’d love to start using them as they are both gen­tle and green. I would like to have the Loofah scrubby. I’d love to have the TowTabs for when we are out run­ning around and need to clean our hands! Great idea! I like to have the Sponge Blos­soms — very cool! I want to own the Supe­rior Soap­nuts Hand/Body Soap­nut Bar (for sen­si­tive skin). 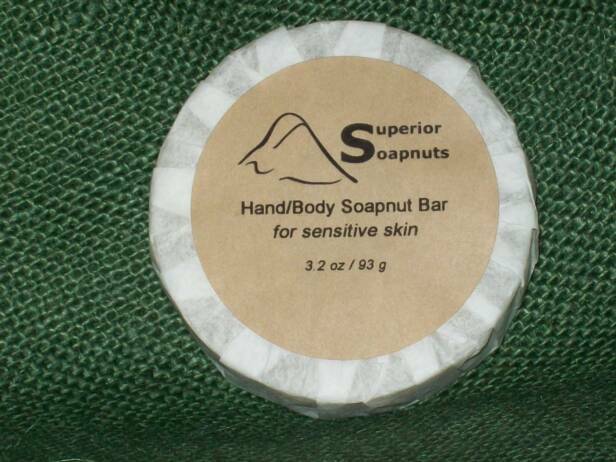 Another prod­uct I would try would be the Soap­nut Hand/Body Bar. I’d love to buy some of the trial size soap­nuts pack­ages to give away to fam­ily mem­bers so they could try soap­nuts for themselves. I would really love to try their Hand/Body Bar. Like Supe­rior Soap­nuts on Face­book and posted that you sent us. I would love to own their Soap­nut Hand/Body Bar. I fol­low you on twit­ter — jentamar. I fol­low @coolcanucks on Twit­ter. the tow tabs look handy! I most want to try the Soap Nuts, but another prod­uct I’d love to try is Tow Tabs. I fol­low with Google Friend Con­nect (Deborah). I’d love to try the towtabs! I fol­low you on GFC! I’d love to try the Towtabs, what a neat idea! #1 Email Sub­scriber of yours. #2 Email Sub­scriber of yours. I’d love to try the TowTabs. I would like to try the hand bar soap and the Towtabs for on the go. I fol­low you on Twit­ter @RazzMyBerry.